This is a brand new load of Used Haworth Premise in Dallas. These cubicles are fully loaded. 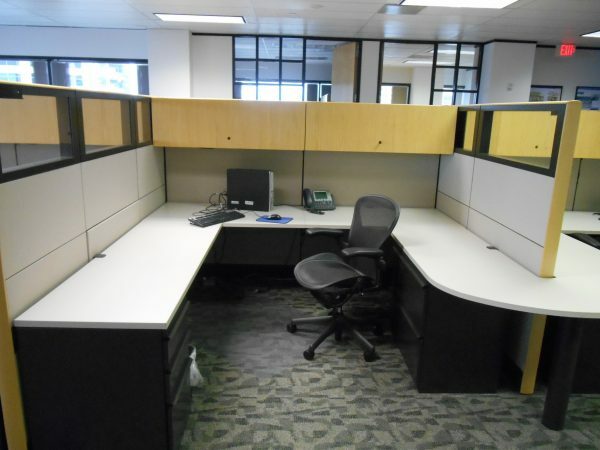 Each office cubicle comes in either an 8X8 or an 8X9, stations have u-shape work surfaces, one box box file, one two drawer lateral file, two – 4′ overhead storage bins in maple finish and two task lights. We will gladly work with you to space plan these into your space free of charge. Please email shelley@usedcubicles.com for additional photos on this inventory. Chat online for quick answers about product or cubicles in general.